Santhip Krishnan Kanholy is a second year PhD student in Mechanical Engineering doing research in CFD with a focus on multiphase flow. His other interdisciplinary research interests lie in study of consciousness, and nature. 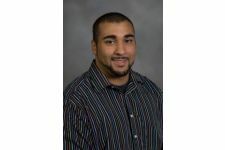 Khaled received his BS in Mechanical Engineering in 2009 at Virginia Tech. 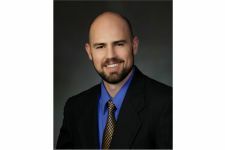 He continued his education at the Center for Vehicle Systems and Safety (CVeSS), defending an MS thesis focusing on reducing fatigue for commercial truck drivers. He is now a PhD Student in the Engineering Mechanics Graduate Program, conducting a study in the field of bio-inspired design. His research interests are in safety technologies and advancements that can be made by discovering, understanding and applying designs found in nature. Nasrin is one of the Founding Members of Iota Delta Rho. She graduated from Virginia Tech with a Ph.D. in Physics in 2013. Currently, she is a Post Doc Researcher with University of Delaware. Her PhD research was about time dependent mechanical response of cytoskeleton, and she is focusing on Non-Equilibrium Statistical Mechanics as her modeling framework. For her research she is integrating theories from physics, biology,computer science, engineering and mathematics. In her free time, Nasrin loves painting, calligraphy and sports. Dr. Aigster is the Director of Interdisciplinary Graduate Education in the Graduate School at Virginia Tech. She is a National Science Foundation Integrative Graduate Education and Research Traineeship (NSF-IGERT) fellow. 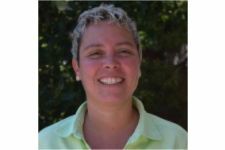 In 2009-10, she served as Program Manager of the MILES IGERT at Virginia Tech. Her interdisciplinary research involved studying macromolecules at the interface of biology and chemistry. She has presented her doctorate research at various professional conferences and has published her research in various journals. Since 2010, she has led the Interdisciplinary Graduate Education efforts of the Graduate School at VT.
Dr. Alexander researches the influence of human behavior on the emergence of infectious disease in humans and animals, particularly in Africa using interdisciplinary approaches. She established a field laboratory in Northern Botswana which has both molecular genetics and bacteriological investigations capacity—the first of its kind in the region. There, she studies the interactions between humans and local wildlife in regards to disease transmission. She is also president of Caracal, a non-profit agency that exists to support this mission. Her overall goal is to increase the ability to manage and maintain healthy ecosystems which support both biodiversity and human populations. She strongly believes in promoting interdisciplinary technical skills & communication abilities in her students. She has significantly contributed content and support to IDR since its inception. Kacie earned her BS in Human Performance at Howard University. She graduated from Virginia Teach in 2013 with her PhD in Human Nutrition, Foods, and Exercise. 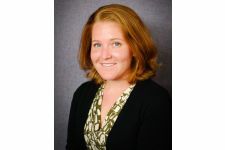 She is currently working as a postdoctoral fellow at the University of Southern California Keck School of Medicine in the Department of Preventive Medicine. Mubashir Ansari obtained his Bachelor of Technology in Chemical Engineering from Indian Institute of Technology (B.H.U) Varanasi in 2012. He later worked as Process Engineer for 2 years at Bharat Petroleum Corporation Limited, supervising Hydrogen Generation Unit. 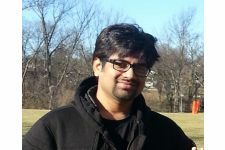 In Fall 2014, he joined Virginia Tech as Ph.D. Student in Chemical Engineering. He works in Dr. Donald Baird’s group on fabrication of continuously reinforced filaments for Fused Filament Fabrication, one of the types of 3D Printing. 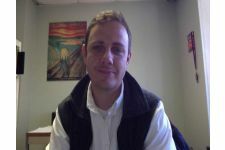 Seth Bartee is a second-year doctoral student in the ASPECT program. His research interests include the intersection of religion, politics, and culture in twentieth-century America. Currently, he is working on a larger project that looks at complex divisions within the American conservative movement during the Cold War. In this interdisciplinary project, he seeks to create a space to study how various discourse about order defined conservatism and created space where conservative and liberal academics came to agree on certain principles. Katy graduates with her BS in Wildlife Science in May 2014. 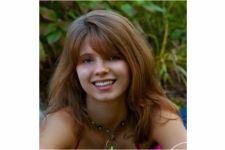 While working on her BS, she was a research assistant in Dr. Kathleen Alexander’s Wildlife Health and Disease Ecology Laboratory at Virginia Tech. Katy will be pursuing my M.Sc. 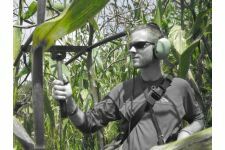 in Tropical Avian Ecology and Conservation Decision-Making from NC State. Adria graduated in Barcelona, Spain, with a major in Biotechnology and is pursuing a Ph.D. in Immunology and Computational Biology in the GBCB program at Virginia Tech. His main research focus is the study of immune responses combining experimental, novel immunology techniques with computational strategies such as computational immunology and immunoinformatics. Presently I am a second year PhD student in the department of Engineering Science and Mechanics working on modeling flows inside insects. Precisely, my present work, part of an EFRI (Emerging Frontiers in Research and Innovation)-NSF (National Science Foundation) project involves modeling mosquito drinking, experimental results of which show interesting yet to be explained phenomenon. The model, essentially a micro-scale fluid-structure interaction problem with flow rectification, provides an insight to the unanswered questions. Lu Chen is a Ph.D. Candidate in the department of Mechanical Engineering. She received her B.Eng. in Power Engineering and Thermal Physics from Southeast University and completed a Master’s program dealing with coal combustion in fluidized beds (co-worked with the Babcock & Wilcox company). Her research focuses on multiphase flow, and using computational fluid dynamics to explore issues related to thermal science. Now she is doing the simulation of gas-liquid flow in the bioreactor of waste water. Originally from Chapel Hill, NC, Shelley got her undergraduate degree in Materials Engineering from California Polytechnic State University. 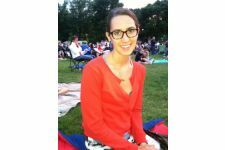 This past semester she finished her Masters in Materials Science and Engineering at Virginia Tech and is continuing on to complete her Ph.D. as a part of the Regenerative Medicine Interdisciplinary Graduate Education Program. The little time spent not at school or work, she spends outside if possible, hiking with her enthusiastic dog or attending various music shows. Shelley is excited to be joining the interdisciplinary research honor society and cannot wait to get further involved. Courtney is a PhD student in Food Science and Technology. She is also involved in the Water INTERface Interdisciplinary Graduate Education Program (IGEP). She received her Bachelor’s and Master’s in Food Science, Nutrition and Health Promotion at Mississippi State University. Her research focuses on bridging communication gaps through studying public perception and emotional response as it relates to food and water processing and technology. Mary graduated from Virginia Tech in 2013 with her BFA in Virginia Communication Design. 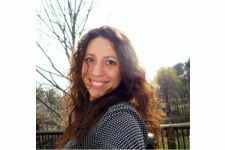 She is currently a graphic designer in Northern Virginia. 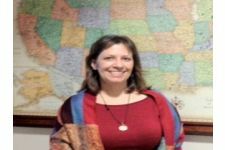 Dr. Karen DePauw earned an A.B. in Sociology from Whittier College, a M.S. in Special Education from California State University, Long Beach, and a Ph.D. in Kinesiology from Texas Woman’s University. 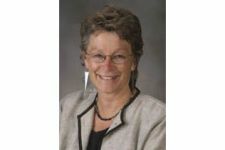 She is the vicepresident and dean for Graduate education at Virginia Tech and previously taught with the Los Angeles City and Los Angeles County Schools and at California State University – Los Angeles. She has published over 75 books, journal articles and chapters and presented more than 150 keynote and scholar lectures around the world. 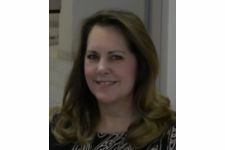 She is a founding member and Facilitator/Chair for the Virginia Council of Graduate School (VCGS) and is a founding member of our new Honor Society. She is a strong advocate of interdisciplinary research. She has always been an inspiration for all of us, and, whenever needed, she has provided us with advice and support. Vaishali is a doctoral student in Food Science and Technology. Her research focuses on the implications of post-harvest interventions on the antibiotic-resistant bacteria and genes in fresh produce using high-throughput sequencing technologies. 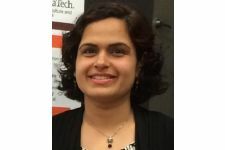 Vaishali worked for a cooperative food safety research, education, and extension project of the University of Maryland, Department of Nutrition and Food Science and USDA’s Agricultural Research Service from 2009-2015. She received her Master’s degree in Food Science and Human Nutrition from University of Illinois at Urbana Champaign. Vaishali is a Certified Food Scientist and a member of the International Association for Food Protection. Laura obtained a B.A. in Economics from the University of Virginia in 2014. She is currently pursuing an M.S. in Agricultural and Applied economics, focused primarily on health and environmental economics. 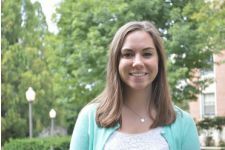 Her thesis research is an interdisciplinary examination of water quality indicators and agricultural land use in rural Maine. Tobias holds a PhD in Aerospace Engineering which he received in 2015, as well as a M.S. in Aerospace Engineering from Virginia Tech in 2011. He received his B.Eng. in Mechanical Engineering from the University of Applied Sciences Trier in 2008. He was a German Fulbright scholar to Virginia Tech from 2009 until 2011. His research interests include turbo machinery, multiphase flow, laser based flow measurements and biomedical flows. To balance his research Tobias likes to play soccer, photograph and dance. Tobias is a founding member and former treasurer of the Interdisciplinary Research Honor Society. 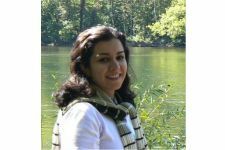 Bahareh is a Ph.D. candidate in Mechanical engineering department at Virginia Tech. She has a B.S. from Shiraz University, Shiraz, Iran and an M.S in mechanical engineering from the University of Kentucky, Lexington. Her research focuses on coal and biomass gasification using computational fluid dynamics. She is a member of the Dean’s graduate team and an ASME student member. Joel is a doctoral student in the biomedical engineering department (SBES). He works with Dr. Jake Socha and Dr. Rafael Davalos to develop novel microfluidic devices inspired by insect internal physiology. He obtained a BS in BME from Georgia Tech and a MS in BME from Duke University. 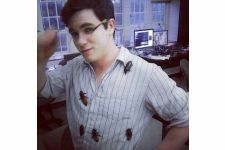 His primary research interest is in biologically-inspired design, with a focus toward entomology, marine biology, and implantable micro-devices. Cody graduated with his MS in Forestry in 2013. His research explored GIS applications in natural resource management with an emphasis in soils and hydrology. While Cody considers himself the Daniel Day-Lewis of interdisciplinary research, most compare him to Don Knotts. He currently works as a Project Manager for Trout Unlimited in Seattle, Washington. 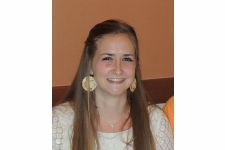 Megan began her graduate studies at Virginia Tech in Water Quality and Coupled Human – Environmental Systems this spring. She earned a BS in Environmental Science with a water resources focus at The Ohio State University. She is interested in the emerging discipline of ecohydrology to better address the changing and practical needs for water resource management. Advancements in hydrological modeling have the potential to affect the livelihood of communities and entire countries currently facing increased water stress around the world. Understanding how local and global hydrologic systems interact with ecosystems and biogeochemical cycles is critical when investigating the fate and transport of pollutants in the environment. 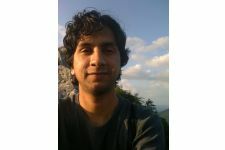 A PhD student in the Engineering Science and Mechanics department at Virginia Tech, Saeed is primarily interested in Computational Molecular Biophysics. He is currently working as a Research Assistant under the supervision of Dr. Onufriev in the Computer Science department. In his research, he develops theoretical and computational methods to understand the functions and dynamics of biomolecular systems. In particular, he combines the concepts in biology and fluid mechanics to develop more accurate models for the solvent environment. Saeed graduated from Iran University of Science and Technology with a B.Sc. In Mechanical Engineering. He also has a M.Sc. degree in Aerospace Engineering from Amirkabir University of Technology. 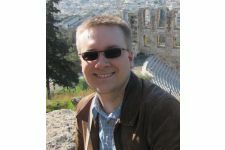 Aaron Johnson is a doctoral student in the School of Education – where he supervises/advises pre-service social studies teachers enrolled in the university’s History and Social Science licensure program. Aaron’s research interests include citizenship and global education, specifically identifying/understanding the emerging complexities of globalization in relation to traditional citizenship constructs. 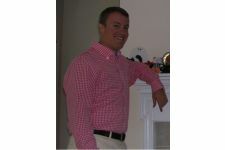 Prior to coming to Virginia Tech, Aaron taught middle grades social studies for six years in North Carolina, while earning a M.Ed. from North Carolina State University. Aaron is currently working alongside scholars from Computer Science, History, and Education to develop an augmented reality field experience for local fifth grade students. Kayla is a junior in the Department of Geography . She has minors in geosciences, meteorology, and biology. 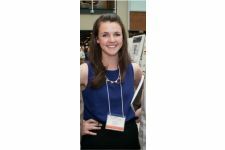 After she graduates from Virginia Tech, she hopes to go to graduate school to study climatology. 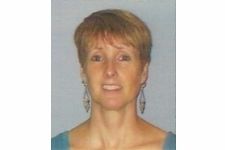 She is active member of the Geographic Society and also a member of the Alpha Phi fraternity, whose primary goal is to raise money for cardiac care. 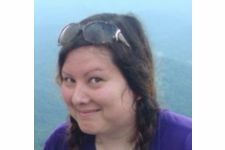 She is currently involved in a research project concerning the biogeography of two tree species in Appalachia and soon be assisting in research studying microclimatic conditions in bogs. 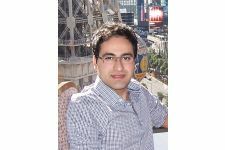 Roozbeh is a PhD student in Engineering Science and Mechanics Department and M. Sc. student in Macromolecular Science and Engineering Program. 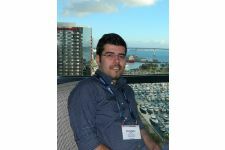 His main research interests are molecular dynamics simulation, mechanical and thermal characterization of polymeric materials. 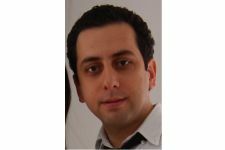 He is currently working on “PEGylated multi-walled carbon nanotubes as drug delivery vehicles” and “reinforcing metal structures by polymeric materials, carbon nanotubes and ZnO nanorods”. The projects require a fundamental understanding of biology, nanotechnology, and materials characterization techniques. He also holds Bachelor and Master’s degrees in mechanical engineering. As a doctoral student in the Department of Agriculture and Extension Education, with a focus on community viability, Rachel seeks genuine community engagement to address the “wicked problems” of our era. Epistemologically, her work is rooted in transformative paradigms. Specifically, her research is embedded within the community foods discourse. She has expanded into theories and practices from leadership studies, political science, sociology, urban planning, and even arts-based research. Previously, she worked for 12 years in Public Health and was a Peace Corps Volunteer. Her Master’s is in Nutrition (International Health) and Bachelor’s is in Journalism and Environmental Science. Melissa is a Ph.D. student in the Biomedical Engineering department. She graduated from Cornell University in 2012 with a BS in Biological Engineering. 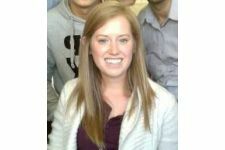 She is currently a member of the MultiSTEPS program at Virginia Tech and works with Dr. Jake Socha. Her research focuses on organismal comparative biomechanics, specifically looking at the fluid flow and mechanisms behind the respiratory and circulatory systems of insects. This interdisciplinary project works on the interface of engineering, biology, and entomology to further understand these systems and potentially use them for biologically-inspired design techniques. Shaimaa is one of the Founding Members of Iota Delta Rho. She graduated from Virginia Tech with a Ph.D. in Computer Science in 2012. Currently, she is a researcher at City of Scientific Research and Technological Applications in Egypt. 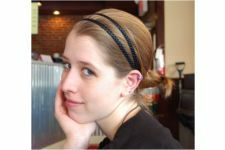 Her dissertation work dealt with distributed groups in online 3D virtual worlds. She studies how group members coordinate their actions and decisions in an environment that lacks many of the non-verbal cues we have in Face to Face interaction. 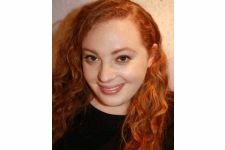 Additionally, she explores how online groups respond to the problems they encounter at system level, such as latency and inconsistency in the shared state. Shaimaa graduated from Alexandria University, Egypt with a B.Sc. of Computer Science and Automatic Control in June 2000 and with a M.Sc. of Computer Science in March 2006. 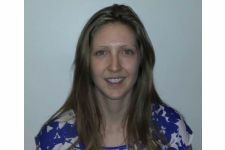 Allison is a second year Ph.D. student in the Geospatial and Environmental Analysis Program, College of Natural Resources and Environment, Virginia Tech. 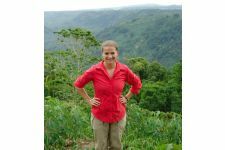 Her research investigates the long-term environmental history of sites in the southwestern and eastern Dominican Republic, Barbuda, and Antigua using multi-proxy data (pollen, spores, charcoal, etc.) sources contained in sediment cores collected from coastal bodies of water. 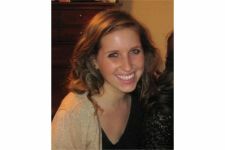 Allison graduated with a Master’s of Science in Geography from Virginia Tech in March of 2011. Johanna is one of the Founding Members of Iota Delta Rho. She graduated from Virginia Tech with a Ph.D. in 2013. Currently, she is Dean of School of Engineering at ULACIT in San José Costa Rica. 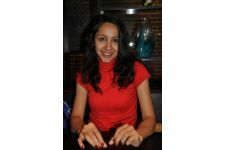 She holds a BSc in Industrial Engineering and an MBA, both from Costa Rica Tech. 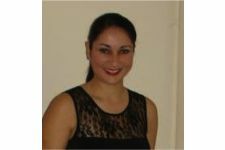 She has 9 years of working experience in medical devices and electronic manufacturing field. Neda is pursuing her Ph.D. at the College of Architecture and Urban Studies. She studied Civil Engineering as an undergraduate in Iran and Structural Engineering for her Masters in the UK. Tammy was a Founding Member of IDR. 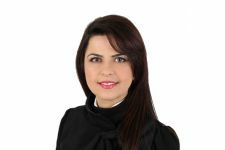 She served as Vice-President of Membership from 2010 – 2014. Tammy has a BS in Interdisciplinary Studies from Virginia Commonwealth University and an MS in Geography from Virginia Tech. Currently, she is a Ph.D. Candidate in Geospatial and Environmental Analysis. 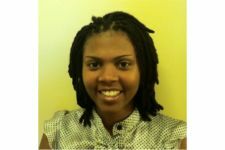 She is developing a geospatial model to optimally site urban agriculture within the City of Roanoke, Virginia. 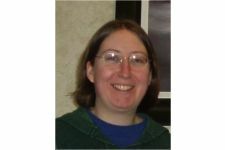 She works extensively in K-12 STEM outreach and integrates undergrad students in her research and outreach activities. She anticipates completing her Ph.D. in 2015. Risa was a Founding Member of IDR. She served as President from 2011 – 2012. She earned her Bachelor’s degrees in Wildlife Science (2006) and Biology (2007) from Virginia Tech as well as a Master’s degree in disease transmission dynamics at the interface of human and wildlife populations (2011). Risa is passionate about interdisciplinary research and educational outreach endeavors and has a fervent desire to learn new skills. Risa also chaired a novel mentoring initiative at Virginia Tech and participated in the university’s strategic planning process. For her graduate research, she partnered with a non-profit organization aimed at sustainable community development, mitigating wildlife conflict, managing human and wildlife health, and overall improving the livelihoods of local citizens. 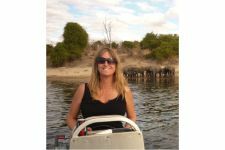 As a professional, Risa has several years of experience in researching human and wildlife health, project management, office administration, and business. She recently served as Project Director for an environmental tech startup and Executive Director of the non-for-profit Cabell Brand Center for Global Poverty and Resource Sustainability Studies. In June of 2014, Risa will begin a PhD program with the Graduate Group of Ecology at the University of California, Davis to further study the coupled nature of disease transmission between human and natural systems in regard to global health and conservation. She is particularly interested in how social network theory can be applied to transmission dynamics between species within an ecosystem. 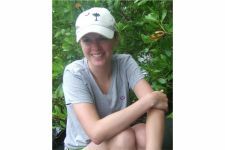 Erin is a doctoral student in the Geospatial and Environmental Analysis Program and in the Department of Fisheries and Wildlife Conservation. In her research, she uses GIS, genetics and wildlife biology to identify functional and structural connectivity of Sumatran tigers in a landscape fragmented by oil palm plantations. 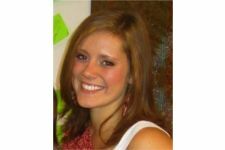 Erin received her master’s from Duke University in 2010 and majored in Biology and Psychology at the University of Pittsburgh. 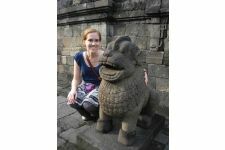 Erin is an intermediate Indonesian speaker and loves traveling. 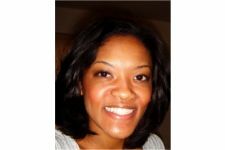 Tracee is a Ph.D. student in the Biomedical and Veterinary Sciences Program at the Virginia-Maryland Regional College of Veterinary Medicine. She graduated with a M.S. in Cell & Developmental Biology from Thomas Jefferson University in 2011. As a Stamps Fellow and with her involvement in the Regenerative Medicine Interdisciplinary Graduate Education Program, she is continuing her research in the Regenerative Medicine field. 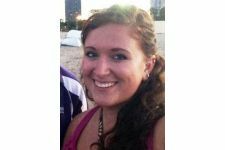 Her research focuses on the behavioral responses of mesenchymal stem cells (MSCs) to microenvironmental cues in tendon regeneration. A better understanding of the underlying mechanisms involved in these processes will contribute to optimization of therapeutic MSC use. Ahsanur Rahman is a PhD student in the Computer Science department at Virginia Tech. 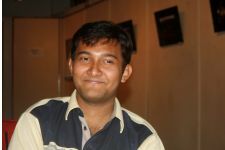 He is currently working under Dr. Murali as a Research Assistant. 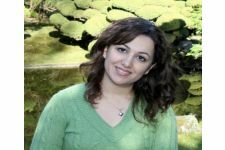 Ahsanur is primarily interested in Computational Systems Biology and Data mining. He is involved in several projects which are highly interdisciplinary by nature. In his research, he combines concepts/techniques from Genetics, Data Mining, and Information Theory to find “interesting” set of proteins from protein interaction networks. 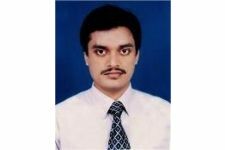 Ahsanur graduated from Bangladesh University of Engineering and Technology with a B.Sc. in “Computer Science and Engineering” in 2008. After working as a teacher for more than two years, he admitted into VT in Fall 2010. 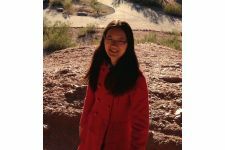 Jie is a Ph.D. student in the Geospatial and Environmental Analysis Program, Department of Geography, College of Natural Resources and Environment, Virginia Tech. 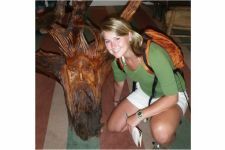 She is also a student in the Remote Sensing Interdisciplinary Graduate Education Program. In her research she investigates agricultural systems and their changes with remote sensing techniques. 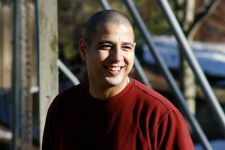 Alireza is one of the Founding Members of Iota Delta Rho. He graduated from Virginia Tech with his PhD in Bioengineering and Biomedical Engineering in 2013. 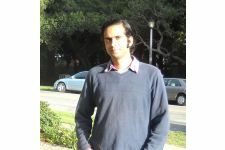 He is currently a Post Doc Researcher at University of California, Berkley. He received his B.S. from Iran University of Science and Technology in mechanical engineering and his M.S. from Sharif University in Aerospace Engineering, Tehran, Iran. Elizabeth graduate from Virginia Tech with her M.S. in Biomedical Engineering. Currently, she is an engineer with Poly-Med, Inc. in South Carolina. 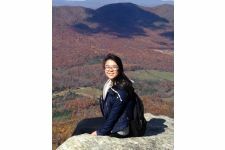 Her MS work at Virginia Tech included working in Dr. Rafael Davalos’ lab on contactless dielectrophoretic (cDEP) microfluidic technology for rapid isolation of tumor-initiating cancer cells. 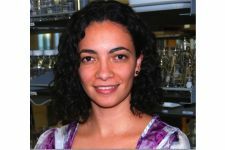 She is also a member of the MultiSTEPS interdisciplinary program, in which trainees are prepared to solve problems at the intersection of biology and engineering through interdisciplinary coursework and research experience, while building an interactive community of students and professors from diverse disciplines. 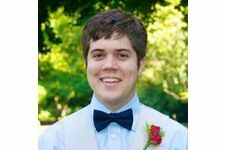 Kyle Schutt is an MS student working with Dr. Osman Balci in the Mobile Software Engineering Lab and Peter Sforza at the Center for Geospatial Information Technology. He is also a co-owner and software engineer for a veterinary hospital. He spends his free time golfing, snowboarding, and generally being outdoors. 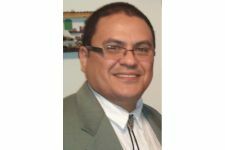 Ivan is one of the Founding Members of Iota Delta Rho. He graduated from Virginia Tech with his MS in Architecture in 2013. 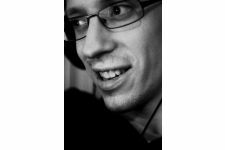 Currently, he is an architect with Alver Architecture in Estonia. While at Virginia Tech, he was a Fulbright fellow. 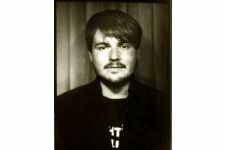 He is a graduate of the Estonian Academy of Arts, winner of multiple awards and scholarships, and has gained a diverse professional experience in Estonia, Netherlands and the United States. In addition to his current Teaching Assistant positions, Ivan has served as an invited critic for numerous student reviews and is currently serving as a graduate jury member for the Pella Prize 2012 at the Virginia Tech School of Architecture+Design. 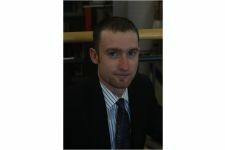 His current research interest is the influence of the digital culture on the built environment, which is also the topic of his Master’s thesis. His auxiliary interests include computational design, biomimetics and extreme urbanism. Michael is a fourth-year graduate student in Human-Computer Interaction in Virginia Tech’s Dept. of Computer Science, Michael is interested in studying HCI from an interdisciplinary perspective, including Human Factors, Psychology, Education, and Design. Aaron graduated from Virginia Tech with his PhD in Philosophy in Education in 2013. 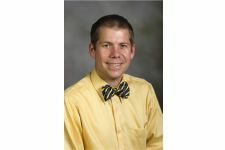 Currently, he is Associate Director for University Honors Program at North Carolina State University. 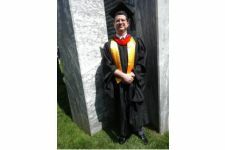 He obtained a BA in English from Wake Forest University, an MFA in Creative Writing from the University of Arizona, and an MDiv from Wake Forest University, where he received the Wait Fellowship. Iman is one of the Founding Members of Iota Delta Rho. He graduated from Virginia Tech with a PhD in Genetic, Bioinformatics and Computational Biology (GBCB) in 2013. Currently, he is a Post Doc Researcher at Icahn School of Medicine, Mt. Sinai, New York City. He graduated from medical school in 2007 and he is a medical doctor. His main research interests focus on Systems Biology of Complex Diseases. Currently he is working on Cancer Systems Biology and Mathematical Oncology. 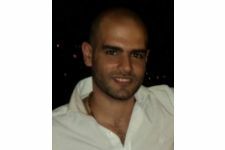 Aly Tawfik is one of the Founding Members of Iota Delta Rho and served as our first President in 2011/2012. He graduated from Virginia Tech with his Ph.D. in Civil and Environmental Engineering in 2012. Currently, he is an Assistant Professor at California State University in Fresno, CA. His PhD research was about how drivers choose their travel routes, and he is using Decision Theory as his modeling framework. 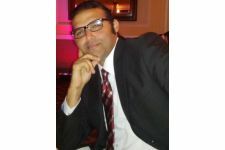 For his research he is integrating theories from the fields of transportation and systems engineering, psychology and human factors, and econometrics and artificial intelligence. In his free time, Aly loves the outdoors and air and water sports. 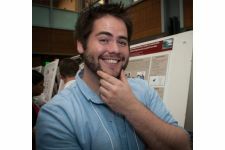 Reed is a forth year PhD candidate in the ASPECT program at Virginia Tech. The Alliance for Social, Political, Ethical, and Cultural Thought (ASPECT) is an interdisciplinary doctoral program between the departments of History, Political Science, Philosophy, and Religion and Culture. 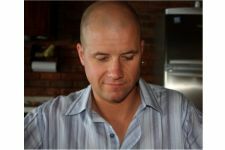 Reed is also pursuing a graduate certificate in Women’s and Gender Studies as part of his dissertation research concerning the intersection of a postcolonial feminist politics, religious ethics, and identity formation in newly industrialized countries, specifically in the case of Aceh, Indonesia. More broadly, his research interests include Asian studies, postcolonial theory and praxis, feminist theory, critiques of global capitalism, and contemporary Islamic political thought. Nina Quadros was a Founding Member of IDR. She contributed in writing the IDR Mission Statement and By-Laws and was one of the designers for the IDR logo (along with Ivan Sergejev). Nina helped organize IDR Day 2011 and 2012, where she served as manager for the round table discussions (around 120 participants). Nina also helped organize the 2011 IDR Symposium (around 300 participants), where she was the poster judging and review manager (around 70 abstract submissions and 50 poster presentations). Nina defended her PhD in Civil & Environmental Engineering at Virginia Tech in 2012. Her research focused on the potential human exposure to nanomaterials released during the normal use of consumer products. statistics at the University of California, Berkeley, and then eleven years later received his PhD in Statistical Science from Duke University. In between his undergraduate and graduate studies, Dr.
Aili Wang is from China and is a Ph.D. student of Food Science and Technology Department. 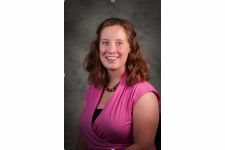 Her research focuses on the iron-binding proteins of bovine milk and human saliva, and the effect of iron in drinking water on the protein composition of milk. Mac is a senior in the Department of Geography. 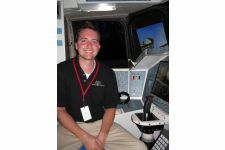 He has gained experience with interdisciplinary research and work through his employment with the Center for Geospatial Information Technology. There, he worked on projects that brought together architecture, computer science, biology, geography, information technology, heath nutrition and exercise, history, and many other disciplines. After graduating, Mac will pursue a career in Intelligence, where he will be able to use the knowledge he gained from Interdisciplinary work at Virginia Tech to innovate how Intelligence is gathered and analyzed. Jessica Wynn is currently finishing her Ph.D. under the direction of Webster L. Santos in the Department of Chemistry at Virginia Tech. Her research focuses on functionalizing branched peptides containing unnatural amino acids as a scaffold for targeting folded RNA structures. Previously, she obtained a B.S. in Biochemistry and a B.A. 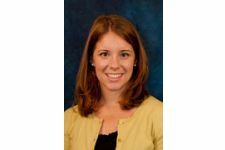 in Spanish from Virginia Tech and has worked in the energetics industry as a Lead Process Chemist and Process Engineer at Alliant Techsystems. Future research interests include developing therapeutics to combat neurodegenerative diseases. 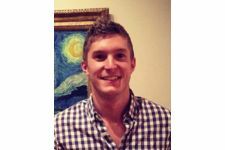 Dan is a PhD candidate in the department of Biomedical and Veterinary Sciences (BMVS) and a Doctoral Scholar at the Institute for Critical Technology and Applied Science (ICTAS). 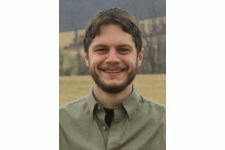 He received his BS in Biophysics at the University of Michigan in 2010 before arriving at Virginia Tech, and is currently conducting research in orthopedic tissue engineering at the Marion duPont Scott Equine Medical Center in Leesburg. 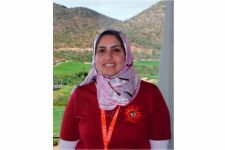 Elham Zadeh is currently a PhD student at the Department of Sustainable Biomaterials in the Collage of Natural Resources and Environment, Virginia Tech. She got her Bachelor’s degree in Food Science and Technology at Ferdowsi University of Mashhad, Iran (2002-2006), and her Master’s at the University of Putra Malaysia (UPM) 2009-2012 in the same major. 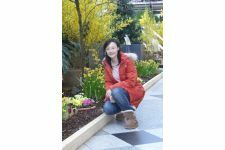 Her research interest is in biopolymer-based packaging.